As with everything I write about, personal preference trumps all! This is what I have seen, heard, and learned. Someone could have had the completely opposite experience. What matters is that the brand you buy has good customer service and normally delivers quality product. Please leave comments, email me, etc. and let me know your experience – good or bad – with a different line of products not listed here. 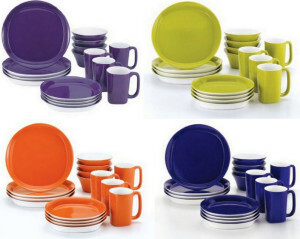 A good website to find discontinued dinnerware pieces is Replacements, Ltd. This is some really good looking stuff, and I think it’s similar in both price and quality to stuff you’d find at Target or Bed, Bath & Beyond, store brands or something by Rachel Ray. These brands all usually have really cute prints, particularly for holidays or something. 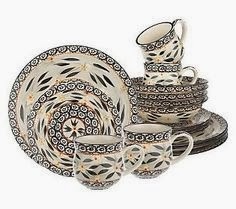 Sonoma dinnerware is nice because it’s in that price range but they keep making it, versus it being a seasonal item for the big box stores. The company also has pretty darn good quality control and I very rarely had off-color pieces come through the store I worked at. The downfall of any of these less expensive brands is that although they are dishwasher safe, they are not safe from your dishwasher and are prone to chipping in there. You can be pretty much guaranteed that the inexpensive brands are all going to be made in China. I want to take a moment to say that while I call these ceramics “inexpensive”, I don’t make a ton of money and by no means do I think that ANY ceramics are that inexpensive unless you can find them on clearance! But compared to the brands not manufactured in China, Sonoma & Rachel Ray are cheaper. My first ceramic set of dinnerware was made for Target, and had really fun Hawaiian prints on them. One year later, handwashing only, mind you, I had one bowl left from a 16-piece set. It was 50% off when I bought it, but still very expensive to me at that time in my life, so I honestly expected it to last longer based on the price. I still have that one bowl, and it’s my “junk” bowl that I don’t care about what happens to it, so it goes in the microwave and dishwasher. It has crazing all over it, and a chip on the rim. 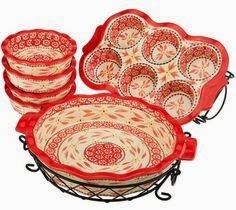 Some people only know this brand as the “Red Plate Dinnerware” because they are pretty infamous for their “You Are Special Today” line of goodies. Others know them as the easier to remember name “Fun Factory“. 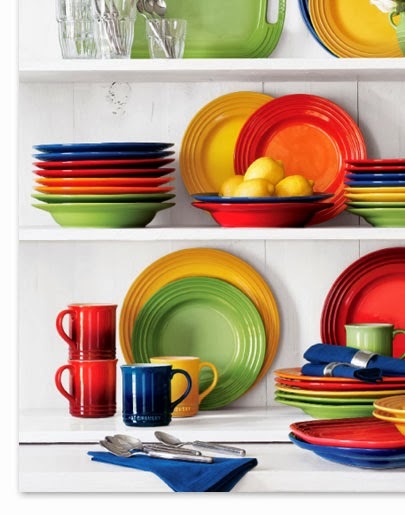 Their Fun Factory line is a delightfully bright-colored line of dinnerware that is the most commonly found in the US of all the lines they manufacture. All of their ceramics are made in Germany and are the next level of sturdiness up from Sonoma and other inexpensive ceramic brands. 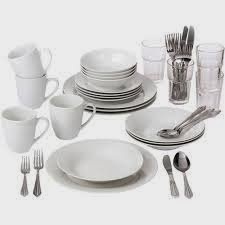 Waechtersbach dinnerware holds up a lot longer in the dishwasher, but are not exempt from chipping if the situation is just right. However, I had a roommate who collected all red Fun Factory dishes at thrift stores and we had one of those little junky dishwashers that you had to roll over to the sink and hook it up to run it…let’s just say the number of roommates in the house and the fact that this couple was older and had a history of many more roommates…I cannot believe these dishes lasted in the dishwasher, especially the way we crammed everything in there. So they are tough, for sure!! The Fun Factory dinnerware is microwave and dishwasher safe, but not all of their lines are microwave safe so make sure you read the label! The red glaze in Waechtersbach does get pretty warm in the microwave, so beware! 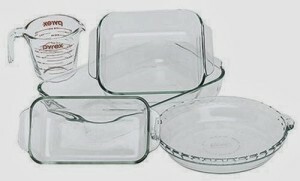 Chantal makes a really nice line of bakeware that is oven, microwave, dishwasher and freezer safe. It is really easy to clean up and very durable. They are not a very well-known company, but most people own at least one of their ceramic pie plates and don’t even know it! They revamped their designs a few years ago, changed the colors to be a tad more bold, and offer handles that are easier to actually grip. 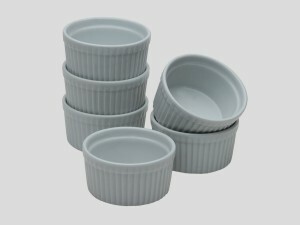 The coolest thing is their Make and Take line of bakeware offers a silicone gasket seal that is removable around the lid. This makes it very easy to transport these pieces without worrying about spillage, or for marinating something in the refrigerator. The silicone is BPA free, dishwasher safe, and oven safe up to 425 degrees. You can also write on the ceramic surface of the Make and Take with a permanent marker and it will wash off with warm, soapy water, making it easy to label your potluck recipes and get your bakeware back! Le Creuset is probably in-line with or another step above Waechtersbach durability-wise. Neither are single-fire, but both are high-fire lines of ceramic making them a lot more durable. I have not personally sold or used the dinnerware, but I do own a few pieces of the bakeware, and it cleans up like a dream! All of their stoneware is made in France and comes with a limited warranty. 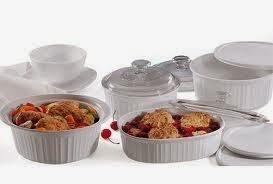 All pieces are microwave, oven, broiler, freezer and dishwasher safe. Yes, you can put your soup bowl in the oven! Le Creuset stoneware can go to 500 degrees Fahrenheit. 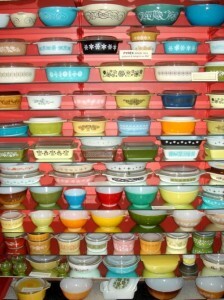 Le Creuset stoneware molds, just like their cast iron molds, are broken after the dish is created. Therefore they consider each piece to be unique and hand-made, meaning what you might see as a slight imperfection is just part of it’s uniqueness. They expect slight variances from piece to piece. Emile Henry is made in France, and as mentioned in a previous blog, does not utilize glazes to color their pieces, but naturally occurring metal oxides. 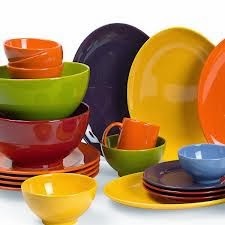 A lot of people enjoy their dinnerware because while colored on the outside, the bowls, mugs and bakeware are white on the interior so you can still have that whiteware presentation for your meals while still including very bold colors. Emile Henry is high-fire, meaning it only goes in the kiln once at a very high temperature, making it the strongest ceramic! In fact, not only can it also go in the freezer, it can actually go from the freezer directly to your oven, AS LONG AS YOU WARM IT UP WITH THE OVEN. Emily Henry is of course microwave and dishwasher safe, and cleans up beautifully, as well. Fiestaware – not Fiesta dinnerware! 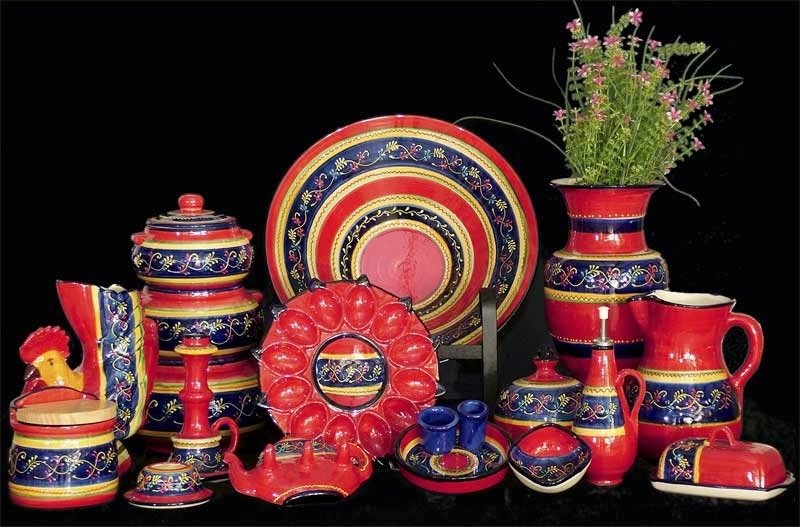 Fiesta dinnerware and bakeware, like Emile Henry, is high-fire. 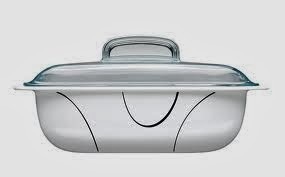 Microwave, oven, dishwasher and freezer safe, it can go freezer to oven AS LONG AS YOU WARM IT UP WITH THE OVEN. (Sorry, I cannot stress that enough!) Cleans up really easily, and the best part, it’s made in the USA by the Homer-Loughlin Company. 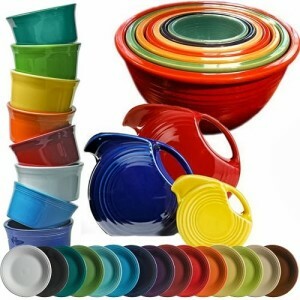 People who are familiar with very old Fiesta dinnerware and bakeware might bring up lead concerns, however, it is has been lead free since 1986. They cannot make the claim of 100% lead free because all ceramics have trace amounts of lead in their raw materials that are tested and deemed appropriate levels. From all of the complaining I have heard, I think temp-tations is the Made in China, affordable option to Le Creuset, Emile Henry, & Fiesta. It is high fire, so it can go freezer to oven (warm up with the oven!! ), and is microwave and dishwasher safe. It cleans up very easily and the patterns are really pretty. The bakeware pieces are great because a lot of them serve multiple purposes as both bake- and serveware. side, and on clearance, so I can live with that! One great thing temp-tations bakeware does offer that is seemingly unique at the moment are ceramic muffin and mini muffin pans. I did find a generic ceramic muffin pan at Cost Plus World Market, but other than that nothing else has populated in my online searches! I am unable to find supporting evidence, but I think that 10 Strawberry Street was bought out by another company. I recall it disappearing from all the higher-end stores for a time, and now I’m seeing it at Target and Walmart in my online searches. 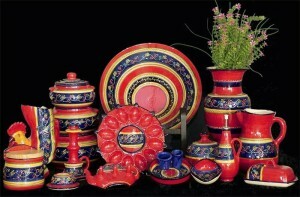 Their website is for wholesalers, but their “About Me” says that “Ten Strawberry Street currently manufactures and imports dinnerware, glassware, flatware and serve ware from Sri Lanka, Bangladesh, China, Thailand, Poland, Germany and Belgium.” I know it was very popular and customers were very disappointed when they couldn’t find it anymore. 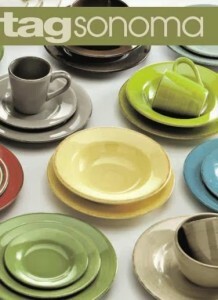 It is porcelain dinnerware, meaning it’s extremely durable, and their “Basic” line is the most popular for food service. Since they have allegedly changed hands over the years, I don’t want to give any false hope, but their former reputation speaks highly of their durability. BIA Cordon Bleu is another line of white porcelain, and of course being porcelain, it’s also highly durable and used widely in the food service industry. A lot of stores will at least sell their serveware and white bakeware if they don’t sell the actual dinnerware. Like 10 Strawberry Street, BIA is a wholesaler that has a variety of products made in different countries. They do carry a few French lines; they also carry some colored ceramic lines and distribute Danesco kitchen gadgets, as well. Most of the generic white ceramics you buy are probably made by BIA and you didn’t even realize it, like ramekins, for instance. 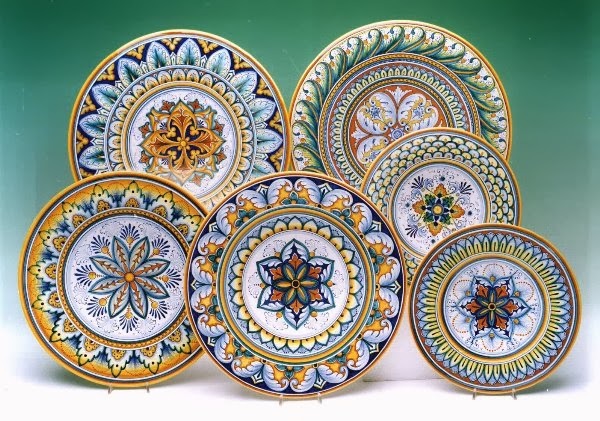 Deruta is the city in Italy that is famous for majolica, a type of tin-glazed pottery, that has been in creation since before the Renaissance. 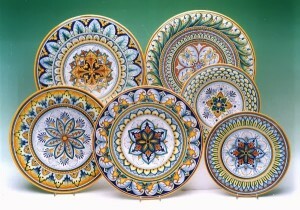 Deruta still produces handmade, hand-painted ceramics you can buy today. With the exception of their dinnerware needing to be stamped to ensure uniformity, the rest of their pieces are all hand-painted by artists and signed on the bottom by the person who painted the piece. I can’t find much use and care advice on their page, but an importer recommends they are only dishwasher safe on the “china” setting if you have one, or else a very light wash setting. Avoid abrasive scrubs and cleansers, and do not put in the microwave or oven. I think this is due to another claim that extreme temperature changes will cause crazing, which of course doesn’t hurt the piece, it just doesn’t look great. Deruta’s site claims that they will last generations if handled properly, however, and says they are very sturdy. Sur la Table carries a line of Deruta-Style Dinnerware that is crafted in Italy exclusively for them that’s a little more affordable than the other stuff, but it’s still pretty expensive. 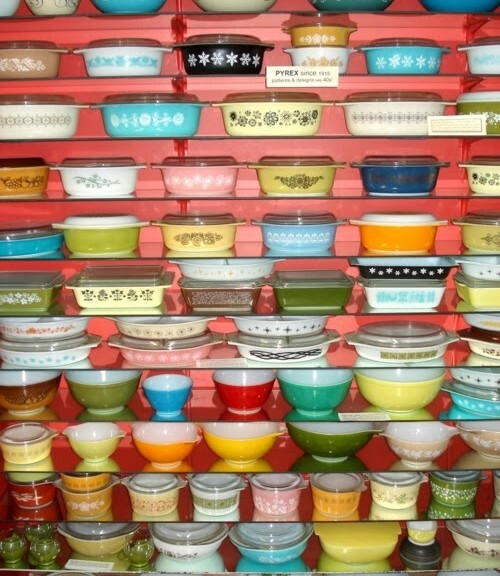 Corning, Inc. (Corning Glass Works), were the American manufacturers of Corelle, Corningware, and Pyrex until they sold the majority interest of their consumer production lines to World Kitchen in 1998. Corning is and always has been known for the strength and durability of its unique glass products. I can’t find any specific information regarding whether any of these are still made in the US or not. World Kitchen‘s website says they produce in the US, Canada, and the Asia-Pacific region. On other web resources (that aren’t 100% reliable so I’m not linking to them), I am finding claims that certain lines or certain pieces of Corelle and CorningWare are still made in the USA, but you have to check carefully. The CorningWare Wikipedia entry leads me to believe that in 2001 when two US factories were closed we may have lost our American manufacturing of Corelle & CorningWare. Maybe the pieces we’re finding still made here are just leftovers? You can email their Customer Service and ask, or possibly the packaging will let you know where it’s made. Corning does still have a its homebase in Corning, New York and still manufactures things, however, they primarily focus on screens for electronics, laboratory glass, and telecommunications fiber optic cable and hardware. You can visit the Corning Museum of Glass to learn about over 35 centuries of glass and even make your own glass while you are there! 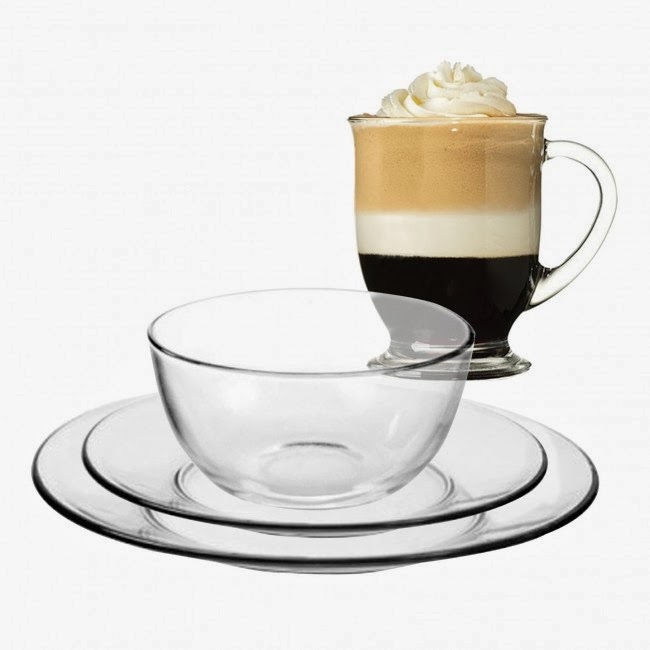 Corelle is a tempered glass product that’s composition allows it to be lighter and thinner than most ceramic products. 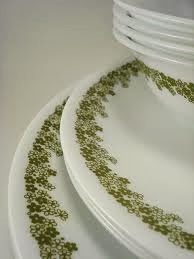 It’s still the same stuff they’ve been producing since 1970, so everyone in my family at least used to own Corelle. Like my family, I know many people who have the story about that one person in their family that managed to break a Corelle dish, despite the numerous other times they were dropped! Corelle dinnerware is both microwave and dishwasher safe, and there are no edges so you don’t have to worry about scratching if you stack your dinnerware. 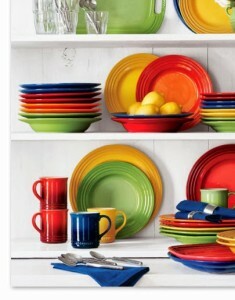 I plan to supplement my Fiesta dinnerware with some Corelle in the very near future! It’s a very great price for something that will last forever. CorningWare bakeware – NOT stovetop safe!! 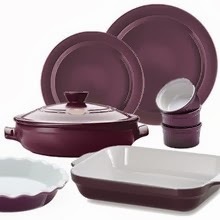 CorningWare is a unique pyroceramic glass cookware that is very unique in that it could go directly on the stovetop. Unfortunately they removed CorningWare from the market in the late 90s. 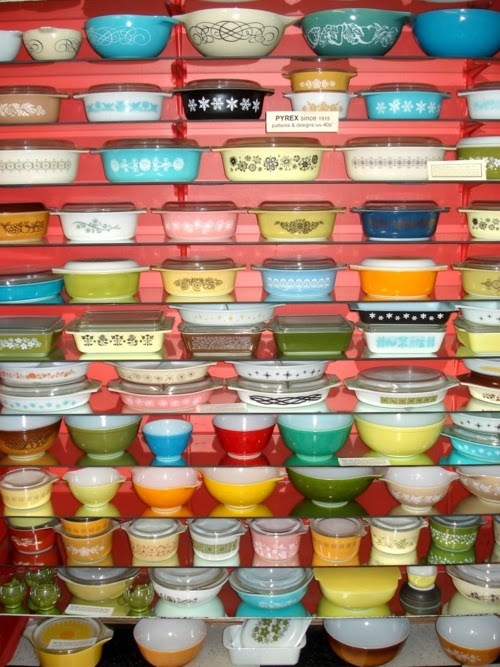 A company in France called Pyroflam (distributed by ARC International) is the only manufacturer of vitroceramics in the world and they create a line for CorningWare, now. The lids cannot go directly on a burner or over an open flame, it must be on the base because it is not vitroceramic glass. World Kitchen also manufactures ceramics that are NOT stovetop safe, so I would assume that’s why the removed the burner image from their original logo. Make sure you read the label and instructions before buying the wrong thing! Pyrex is now tempered glass and is actually still made in the USA and according to this customer service announcement, and despite it no longer being made of borosilicate glass, it is still safe to use. Because people have experienced exploding Pyrex, there have been rumors floating around that this occurs because of the tempered soda-lime glass now used, but as I said, that article as well as the Consumer Product Safety Commission and other sources say it’s safe. As with everything, make sure you read the use and care instructions. Pyrex’s video guide says not to use it in the broiler (despite many Pinterest recipes telling you otherwise – don’t believe everything you read! ), make sure you put a little liquid under anything if the whole pan isn’t covered (like meat versus making a casserole, make sure there is liquid under the meat), preheat the oven, and use a cloth potholder – don’t put it on the stove burners, a metal trivet or a cold counter. I would say make sure the pan is room temperature if you’ve refrigerated something to bake later because just like ceramic, extreme temperature changes are not good for glass either. As with the Corelle, I know many people who have the story of that one person in their family that manages to blow up Pyrex, and we all assume by their personalities that it was probably their fault despite their claims of it being otherwise! 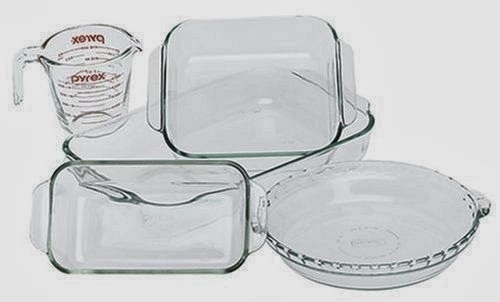 There are many brands of glass dinnerware and bakeware, and since we’ve talked about how ceramic becomes glass, it makes sense to fit glass in here, especially since Pyrex comes from Corning, Inc. with its ceramic cousins. Glass is always going to be more durable than ceramic, however, it shows scratching much worse than ceramic does. However, like ceramic, it sounds like there are ways to remove these scratches if you wanted to. I have a few colored glass plates that are really fun, but boy are they scratched! I am most familiar with brands like Libbey, ARC International, and Anchor Hocking and they are all very reputable and affordable options.